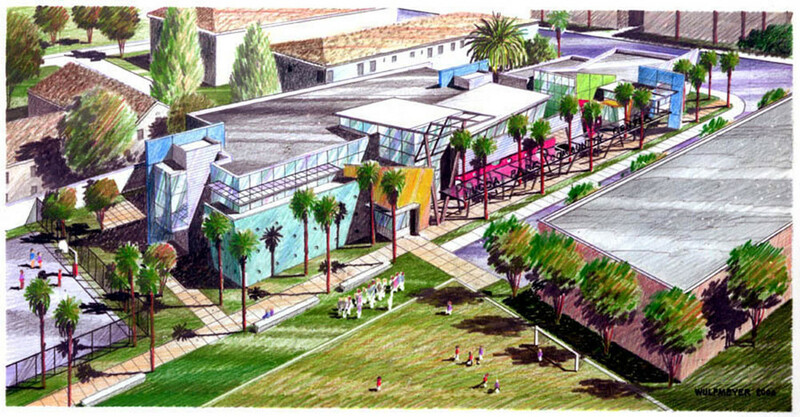 Yucca Park Community and Youth Centers are multi-use community and recreational complexes located on a small inner city site in Hollywood, California. The building forms are playful, colorful, and expressive with a folded plate roof form which seemingly levitates above the individual elements like a large floating canopy. The two structures are organized around a landscaped courtyard that serves as an extension of the two structures. The major programmed elements include two structures: a community building and free standing boxing and athletic facility of approximately 5,000 square feet. Specific functions within the community building include multipurpose community meeting rooms, child care, staff offices, kitchen, rest rooms and computer training room. The boxing and athletic facility is composed of a high bay space suitable for a boxing ring and training facility, weight training room and locker rooms. 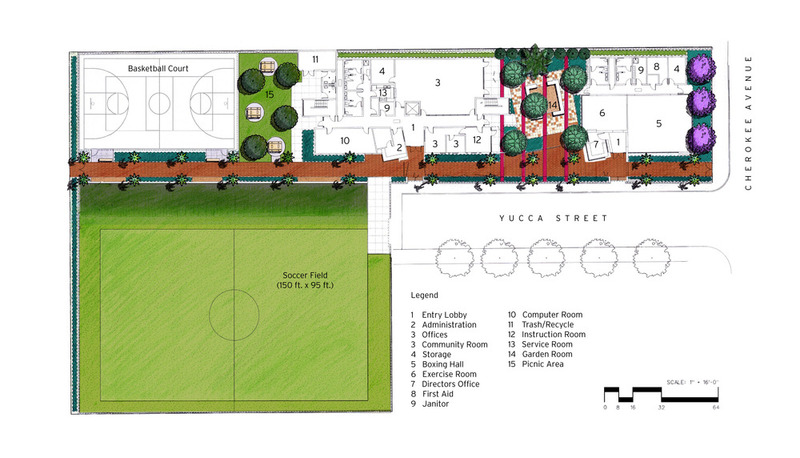 The master plan for the site development provided for a soccer field, basketball courts, and secured play area.